Estate tax liability. 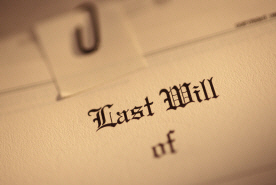 Disposition of assets under a will. Disposition of probate. There are many situations where you might need an appraisal of property that states an opinion of what the property was worth on a date some time ago, rather than when the appraisal is ordered. These assignments are sometimes called "Forensic" or a "Date of Death" appraisals. For estate tax purposes or the disposition of the assets of a decedent, a "date of death" valuation is often required. We've performed "forensic/date of death" valuations extending back as far as ten years. Attorneys, accountants, executors and others rely on Lagasse Appraisal for "forensic/date of death" valuations because such appraisals require special expertise and training. They require a firm that's been in the area for some time and can effectively research comparable contemporaneous sales.